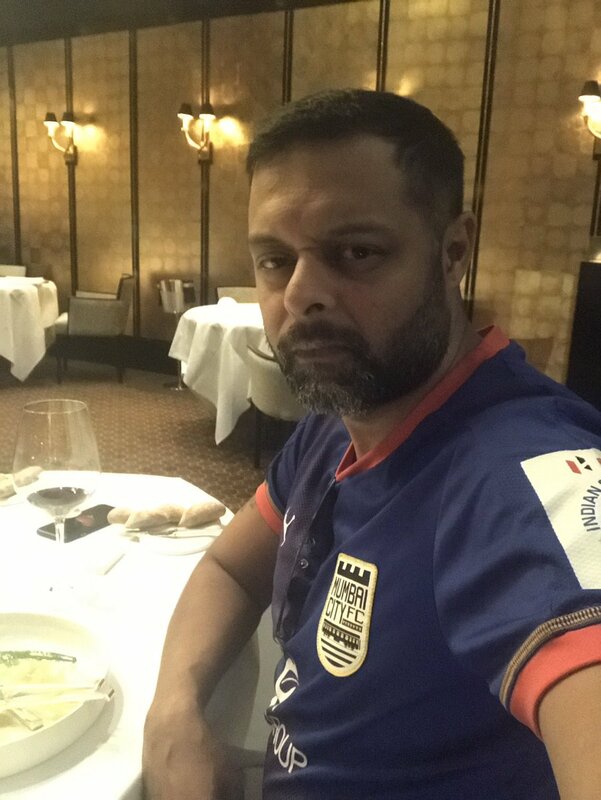 I recently started following Mumbai City FC CEO Indranil Das Blah on Twitter with a perception of meeting someone with “CEOish” air around him. Though to my own surprise, what I found was a man, too polite for his own command, a sorted individual with grey hair in beard, and a northeasterner living in Mumbai only to reach the sky. 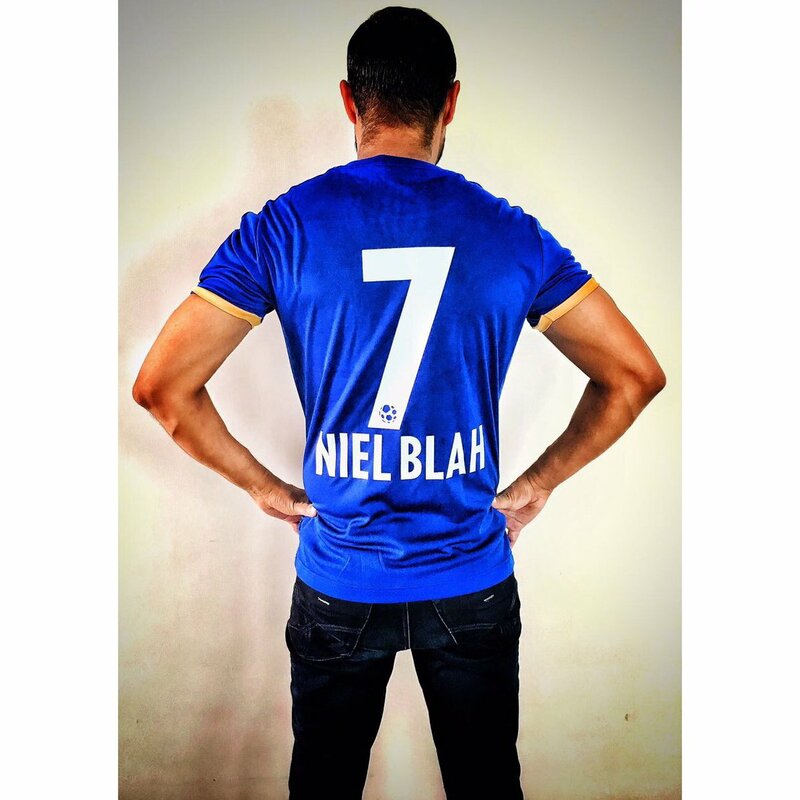 One of the founding partners of KWAN Entertainment besides leading the Mumbai City venture— one can say Mr. Blah has more to his credentials than just the tag of a “Witty-Tweeter”. He says he tries to keep as uncontroversial as possible, but does he? I, Pulkit from Jersey Football Magazine spoke to Indranil Das Blah about the plans Mumbai City has in place for the upcoming season and many interesting anecdotes concerning the club, the Costa Rican coach Alexandre Guimaraes, the Rockstar Ranbir Kapoor and more. JERSEY: After having a decent season last time around, what lessons have you taken, and how do you intend to address the problem areas? Indranil Das Blah: Just to give you a bit of context, the first two years were horrible. We realized that you could have the best team on papers but if the team doesn't come together as a team both on and off the field, you could have the best individuals, but it won’t work. So this is why we went for changes in the completely different way and I think the biggest change that we made was hiring a good coach, a man manager apart from being a good tactician. I feel Alexandre played that role to perfection. One of the mistakes that we made in both the initial seasons was that we had a bulk of a team but a coach to handle it. Apart from that, I would say that I didn’t get the team that I really wanted. That was another big lesson for us. We spent a lot of time in evaluating a coach because ISL is a unique tournament and you need someone with experience to soak all the pressure in a knockout tournament, in let’s say a World Cup. Alexandre has faced it both as a player and the coach with Costa Rica. He has a good grip on the team and the team now has a common goal to get success, and I think that’s what happened last year when we tastes the Semifinal success. JERSEY: You call yourself as the facilitator to the coach Alexandre Guimaraes. Is the Costa Rican contented by the kind of work done by his right-hand man? IDB: Yes, extremely. I’ve never seen a coach who’s getting involved in the team selection so well before the draft. He’s studied each individual and his experience in the last ISL season and that has got him a great understanding with the players. He was working with us all through the year, and not just at the draft. At the draft, we already knew that these are the positions and these are the people we want to go after. Having said that, we were aware that we would not get 100% of our first picks in a draft, but at the end of it what matters is that the coach is really happy with the team that he’s got and now it’s up to him to use the tools at his disposal. Yes, he was very happy with his right-hand men and the team that we’ve got onboard. JERSEY: Looking at your work with the previous coaches Peter Reid, Nicholas Anelka and Alexandre Guimaraes, tell us the work-level differences between the three renowned football personalities and how did you see all of them shaping Mumbai City into a world class unit? IDB: All three of them had very different approaches when it comes to coaching. Starting with Peter Reid, you know the first year was a challenge for all the league clubs. No one knew what they were doing and I think the teams who have done well wasn’t because of any particular strategy but bit of luck played in it. They did a few things right and they had coaches who were very invested in doing well. So as I said there were also many challenges at the time of the draft and to tell you the truth, the coach was not even appointed at that time. The technical teams picked the players and then we planted Peter Reid. So there was very little he could do as he didn’t even choose the team himself. In Season-2, Nicholas was appointed as the coach much later, though he was already appointed as a player by that time. It was an afterthought when the majority of the team had been selected. Nicholas is not a coach and in the hindsight we realized that in the ISL we need a good coach who has an experience. I wouldn’t blame Reid or Anelka for the season that we had, but learning from that, we wanted someone with experience at a bigger stage and someone who’s got the experience in dealing with pressure on day-in day-out basis, someone who’s used to playing in every two-three days. The skillset used in playing a 9 month long league is slightly different from the league which ends in 3 months. In ISL we play matches in every 4-5 days. You need to rotate the squad a lot quicker and make sure that the reserves are motivated, make sure that in the big matches the team always steps up and ensuring cohesion within the team. Before the decision of taking him on board, we understood the philosophy that he had, we understood how he manages people, his tactics and how he likes to build the team. So we all found it to be aligned with our vision and he works with each and every player and the technical team almost hand in hand. So if you ask the telling difference between the three coaches, I’d say Peter Reid— Lot of experience but in ISL he wasn’t really confident in dealing with the pressure, Anelka—wasn’t given the tools that he required plus his inexperience as a coach, and Alexandre Guimaraes filled all the holes that we had in the first two seasons. JERSEY: As a CEO of the club, who do you find delivering close enough to your vision with respect to Mumbai City FC? IDB: Just to give you a background, the vision is much of the owner’s than the CEO’s, and Ranbir is clear that it's the club of the City of Bombay. So it needs to embody the spirit of Bombay. Winning and losing isn’t in your hands, but you must ensure giving 100 per cent every time you grace the pitch. There will be many setbacks, but you need to come back from them and try your best, so this is the philosophy of the club. Then there’s the role of the management, and luckily we all think alike and the same I also told to the coach that this is our philosophy, we don’t want heroes on the pitch, but we want the team to play as one. It's ok not to have a standout performer, but many of those who fulfil our vision for the best of the club. Take Diego Forlan for example, we didn’t sign him for being a marquee or a global superstar, but because we knew he’s a brilliant person on and off the field—extremely approachable, extremely talented and absolutely no hang-ups for being a star. He was as approachable to Rakesh Oram as he was to Lucian Goian. So I think the philosophy of the club is absolutely clear and to indirectly answer your question— the best person for the job so far is the one who delivered for us last year, and he is the one leading the team this year as well. JERSEY: Let’s move our focus from coach to the team. As Mumbai City will be without a marquee for the first time, are you satisfied with the overall balance of the squad? IDB:Yes we are satisfied with it, but more importantly the coach is satisfied with it. There will be differences from the last year, like some of our key players such as Defederico, Sunil Chhetri and Udanta would not be with us anymore. They were difficult voids to fill because they were really very good players but having said that, we’re not very focused on names but the team and filling the gaps that these guys have left. One classic example was that we didn’t have many Indian players like Udanta, Amrinder, Sunil for first nine games last year which means one-third of the league but despite that fact, we were still on the top of the table. So it’s not about the names but about how you use the resources that you have. Yes, we’re very happy with the team and we’ve got adequate reinforcements for filling the positions of Sunil Chhetri and others. A strong team on the paper and the big names are fine, but it all matters when your team eventually gels up and delivers on the field. We’ve anyway got the code of the team, be it Lucian Goian, Leo Costa, Gerson and a bulk of the Indian players. Don’t forget we have Balwant Singh who’s been off for a while but has now come up strongly as he seems to have found his seed and he’s doing brilliant for the Indian team. So in a nutshell, there’s no problem and we are very happy with the squad. JERSEY: What was the basis of picking the names before the draft? IDB: Our job before the draft was to arm the coach with as much information as possible, and then he made the final calls because ultimately he’s accountable. The draft wasn’t really as much of an issue because we started working with the coach in terms of identifying the team after last year’s tournament. We worked hard on scouting the players well and we followed their successes in the I-League and by the time the draft came, we were well prepared. I wouldn’t be able to reveal the strategy, but I can share the fact that he likes to have a strong defense and build it from the back, which is why we retained most of our defense especially Lucian Goian, who was the standout performer for us in the last season. We also have Amrinder who we believe is the best goalkeeper in the country. So our defense is about the same and that’s what the coach also wanted. JERSEY: Mumbai City is among the clubs who’re known for spending big on quality and “Big” players. Do you think the strategy of not going for a marquee has flaws? IDB: Well, that’s for all of us to find out. However, the philosophy from Season-1 has been that for the first couple of years we needed big names to attract the football audience. I mean yes it helps to have the likes of Forlan and Anelka but the team that we have is extremely talented without or without them. To start with, the base was small and we needed to build a brand, so both nationally and internationally to extend your players’ market, you needed to have big names which is why we decided to spend more than just the average on those players what most teams spent. Now that we sort of understand the functioning of the league and the players we need, we realized that it wasn’t necessary to pick a team with big names rather than picking players as per the requirement of the team. Also, my job is to also get some sort of ROI expected by my owners and one way of doing is to be cost conscious and to learn from the people who have done this. You look at the Leicester story that happened and many other clubs over the years. The underline fact is that it’s not the big names that guarantee the success. Off the field, yes there will be a bit of challenge because it’s always easier to get more people with those big names. It’ll be slightly difficult this year but on the field, I don’t think will have much of a difference. JERSEY: In the past you’ve said that Mumbai City is running on the lines of Arsenal Football Club. Would you throw some light on it? IDB: Again coming down to Ranbir’s vision, two things he wanted—the spirit of Bombay and Mumbai City to become the most professionally run club at least in Asia of not the larger market. And that’s what we do to operate professionally. The proof of concept is that in all of the three seasons, we never had a player who didn’t come back and play for us. For all the internationals, Mumbai has always been their first option to come back and play and if they don’t fit in the squad, that’s when they go to the other clubs. The only change has been with the Bengaluru boys who went back to Bengaluru and that’s fair because they were only on loan with us. One of the keys to run a club professionally is by keeping the players and the technical staff happy. If you look at all the ISL clubs, we are the only club which has the same management team over the last four years. So continuity is the big focus. Ranbir was very clear that the club must be professional and he knows how to do it. He knows that he’s not an expert, so he hired experts from different division. He puts his opinions forward, but always leaves the decision to us. This actually helps us, now we have more of our say and leverage to function together as a team. But yes, we believe it’s just the tip of an iceberg and there’re a lot of things we’re still doing wrong and that you learn from those mistakes is what the owners asks from us. JERSEY: Any plans of going into a foreign partnership, like what ATK, Pune City and Delhi Dynamos tried? IDB: We’re not sure about that. Look at Pune City, they had a tie-up with Fiorentina—that didn’t work out really well. Look at Delhi— their ties with West Brom was more or less the same story. ATK though, worked well obviously as they’re two times champions but having said that, it’s not ended on a good note at all. Though we would always be open for a Technical tie-up. So we won’t go to Pune or Delhi’s route to divesting equity because that’s not our philosophy. Its Ranbir Kapoor’s club, it’s the club of people of Bombay, so in the foreseeable future—No we’re not looking at a strategic partnership, We’re already in the third phase after building the brand and identifying good talent, and now starting a residential academy. Hence, we’re looking at a Technical tie-up and in fact we’re in talks with three of the European clubs as well for it. JERSEY: Could you name those clubs? IDB: No, I can’t disclose the names as yet. All I can say is that one of the names is a Bundesliga club and another one is Spanish. JERSEY: The ISL is at the peak of its commercial viability with the winner getting a place in the AFC Cup and the tournament being four months long now. What does it mean for all the clubs and for Mumbai City FC in particular? IDB: It's a great thing. At the end of the day, you don’t want matches after every three-four days. Secondly, from a sponsor’s point of view its better this way as they want a more sustained campaign. Three months get over before you even realize it. For IPL it does, but considering it to be a huge property while ISL is nowhere close, it works well for the players and the marketing when you have a longer league. As far as Mumbai City is concerned, we couldn’t be happier with the format. This year is still 4-5 months, but next year it’ll be an even longer league. No football league in the world is less than six months. Longer league makes it lot easier to follow certain processes, marketing base on an off the field and then the players. JERSEY: The club's zonal program to find the next Sehnaj Singh or Balwant Singh is truly commendable. But what is the road ahead for Mumbai City's grassroots program? IDB: It’s an interesting one, because I don’t think we’ve communicated our success right. I’m certainly going to take it up with our PR agency. I’m glad you asked this questions because that’s one area which has been troubling me in terms of communication. But to give you the insight, we won the best grassroots program in the ISL for the first two years. Last year they didn’t announce it, but I’m sure Mumbai City would’ve won it again. And our strategy is very clear on this. Mumbai is not Goa, Kerala or Kolkata, it's not a football market so our strategy has to be different considering we mightn’t get the talent that we want from Mumbai. Over three years, we’ve just got one Mumbai player—Ashutosh Mehta. So this reflects on the lack of talent. For us the first two years was to build the base, broaden our reach and play football. Every year we’ve reached out to over 10,000 kids in festivals and other activities. Last year we reached phase-2. Look at MDFA and WIFA leagues which were done in sync with the federation. So Mumbai City does all the technical aspects of these leagues. A lot of people say that Mumbai City doesn’t have a youth team. I agree and I say there’s no need to have one considering the lack of talent and there’s no point of having one by borrowing players from the other clubs from different parts of the country. Which is again different because a North-Easterner would rather play with a North-Easterner club and so is the case with a Goan or a Bengali. JERSEY: We’ve heard whispers about Forlan making back into the side. Any truth in it? IDB: We’ve already finalized our squad. All the internationals have been announced. 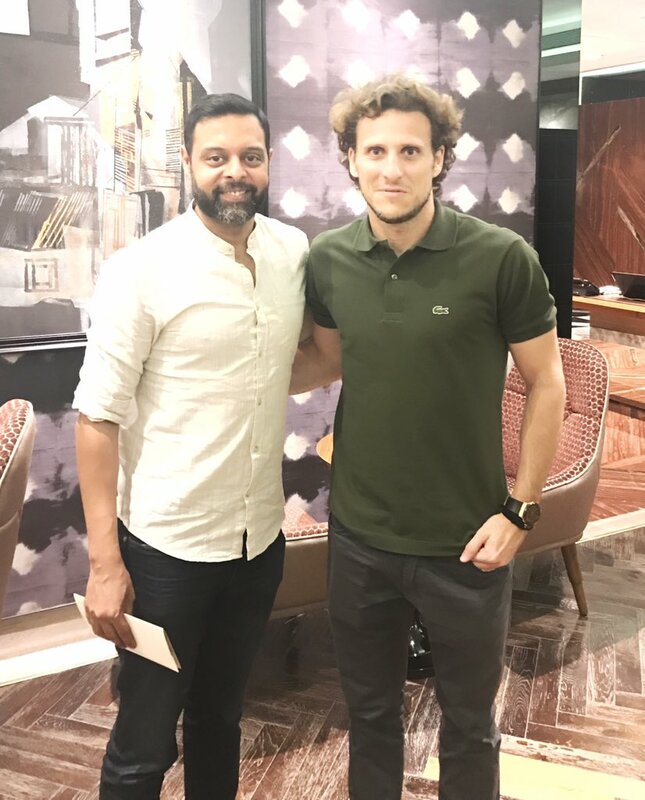 We’d have loved to have Diego back, he himself was so keen to be back to Mumbai, but that’s not really happening in this season and there will not be any marquee player this year. JERSEY: One last question regarding the loyal fan base of the club. Any parting thought for the Blue Army ahead of the big season? IDB: I think they’ve been great. Bengaluru talks about West Block Blues and Kerala talks about the Yellow Brigade, but for a city like Bombay where the kids are so deeply entrenched into the Premier League, I think the kind of support we’ve got from these fan clubs is tremendous. We are very very thankful to them. Not only us, has Ranbir also recognized it. He always ensures to go towards the stands to thank the supporters. Similarly, you look at the players, they all value the support of the fans. We know when these fans chant our names, it really pushes us to do better. Unfortunate with Mumbai FC that they’re not in the I-League anymore, it’ll hopefully work well for us as we believe the Yellow Brigade will start supporting Mumbai City for us being the only club in the city. JERSEY: Thank you Indranil for being patient and yes, I'd like to say that I enjoy your witty tweets very much. So a good luck for them.